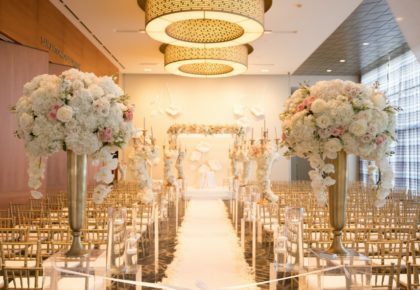 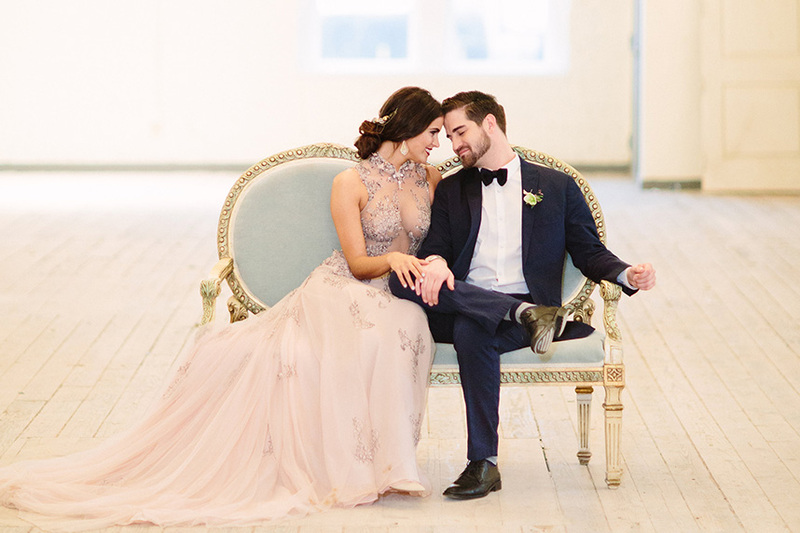 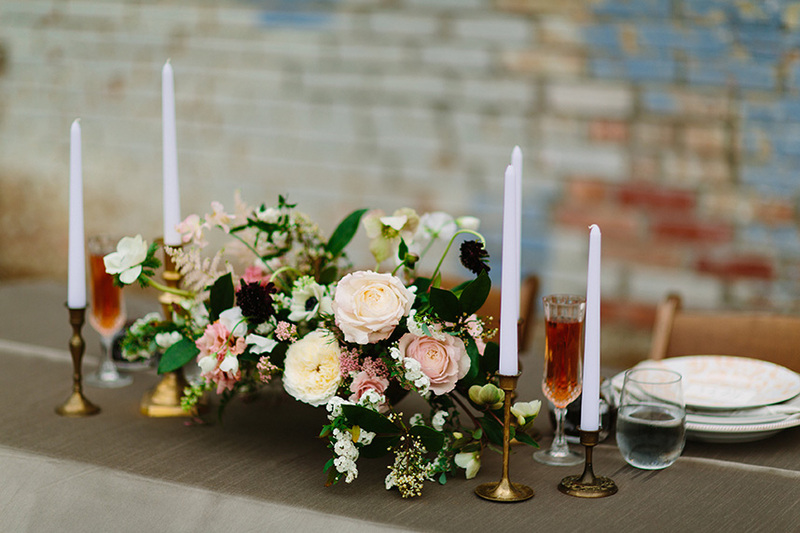 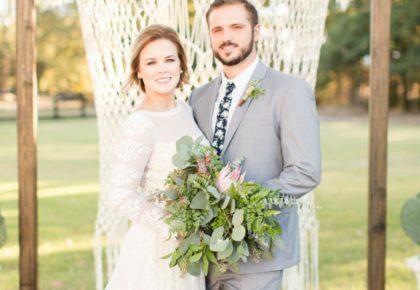 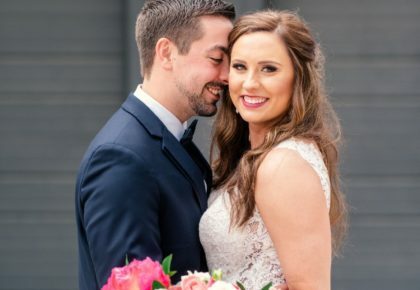 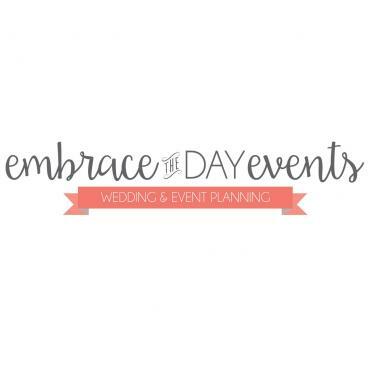 For an exquisite take on old-world glamour, we are loving this vintage pastel wedding inspiration designed by Embrace the Day Events and captured by Jeff Brummett. 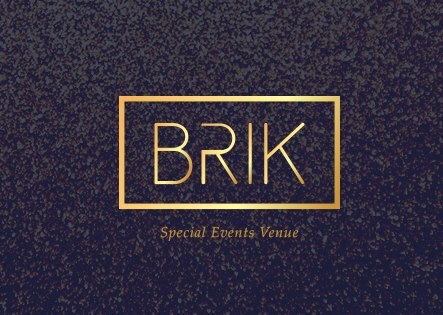 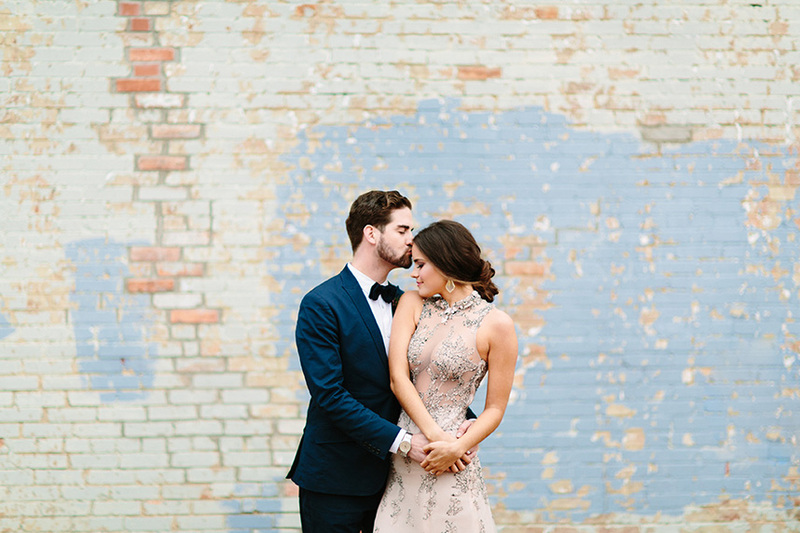 With soft hues of rose quartz and serenity, the industrialized feel of the worn brick wall at Brik Venue serves as the perfect juxtapose to the glittering details of the model bride’s look. 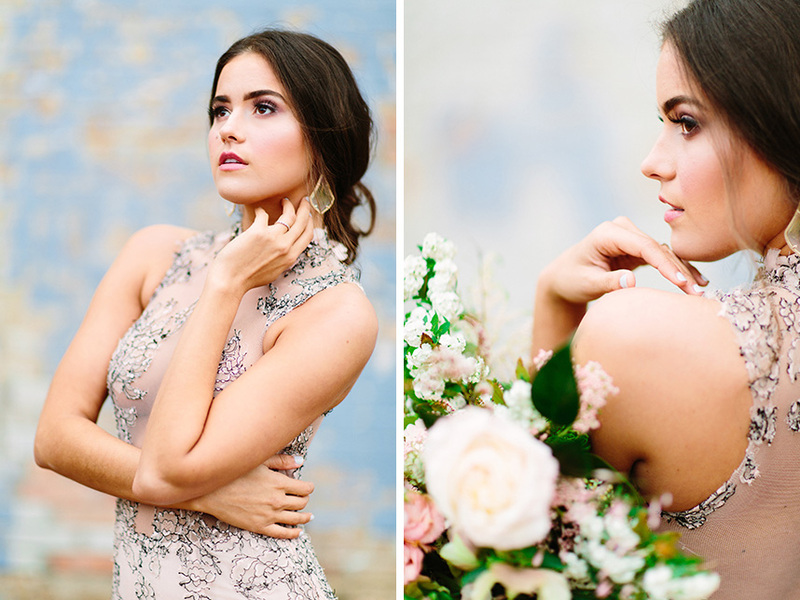 Her blush-hued meticulously appliqued and embellished Cinobi Cinobi gown is complemented by light-catching drop earrings and a simply swept up-do from Grand Slam Glam. 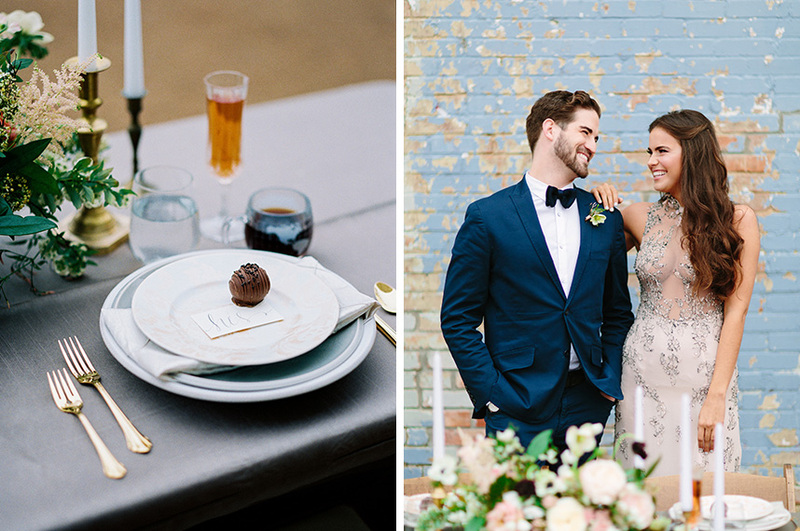 Antique-like elements complete the setting with the most dreamy powder blue and gold love seat, and a tablescape featuring assorted candlestick holders, delicate champagne flutes and world map printed glasses. 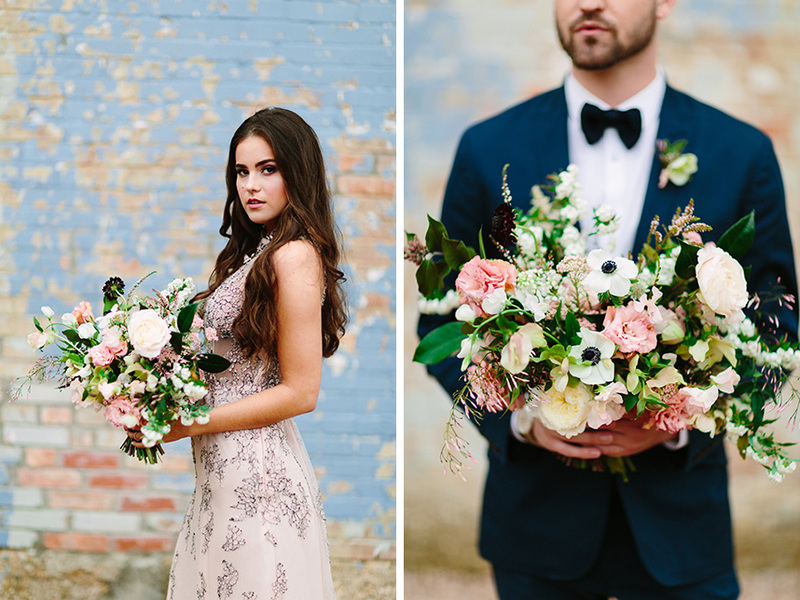 Of course, we couldn’t speak to the sweetness of this shoot without mentioning the gorgeous bouquet and floral arrangements of pretty peach and soft pink English tea roses, anemones and baby’s breath. 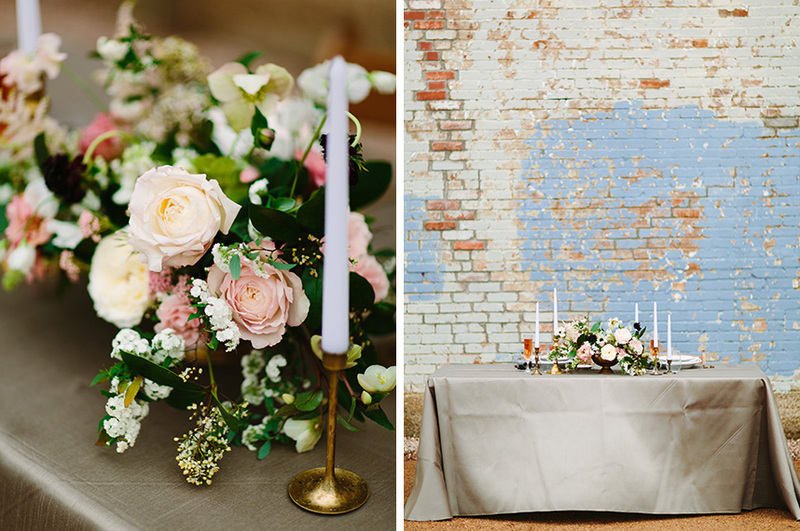 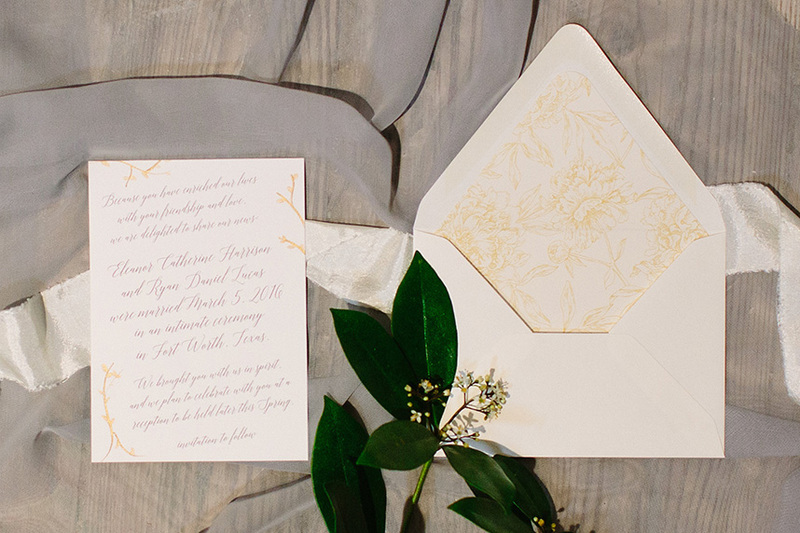 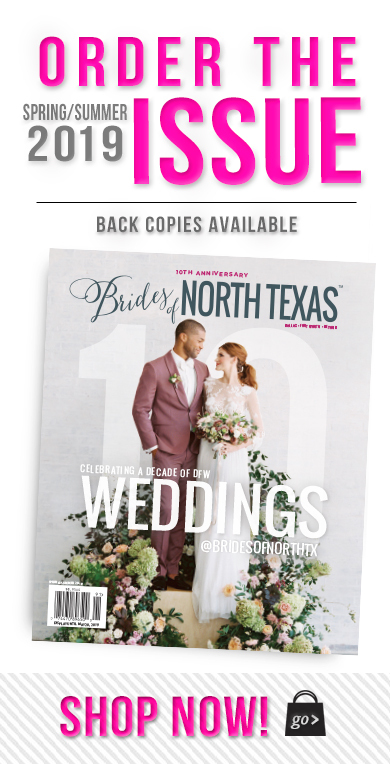 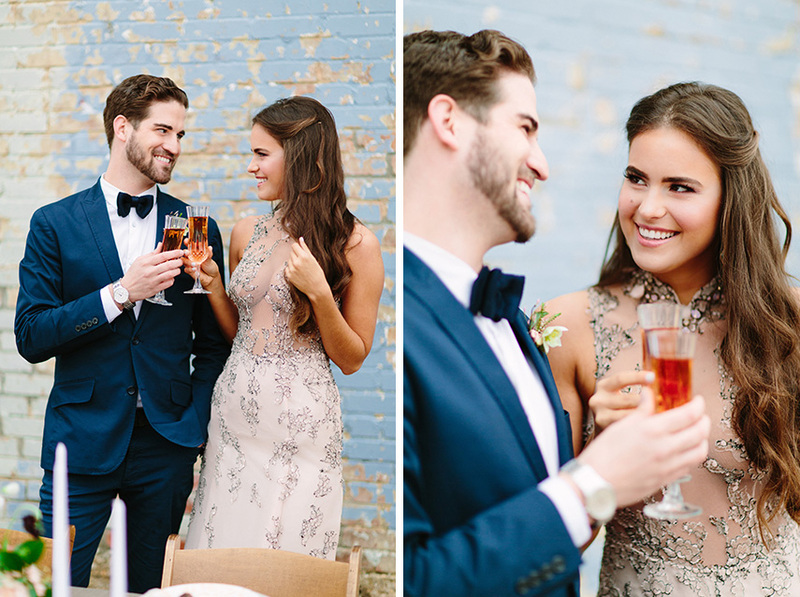 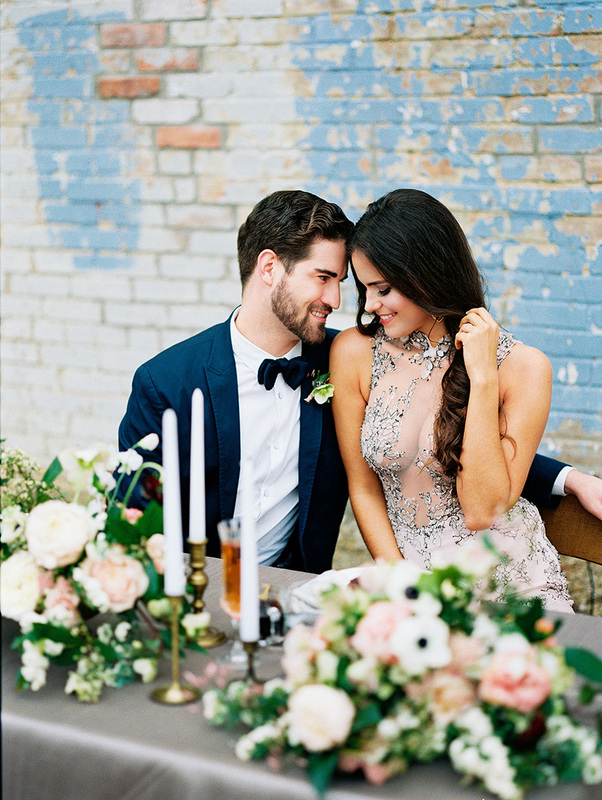 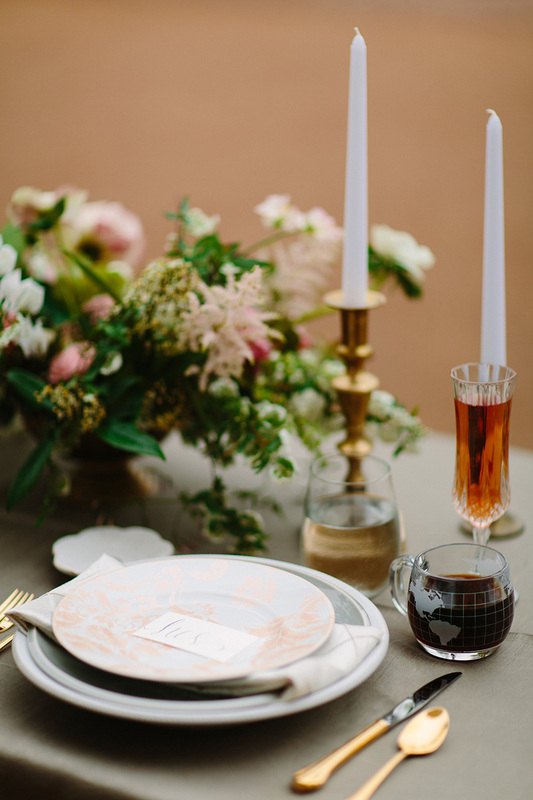 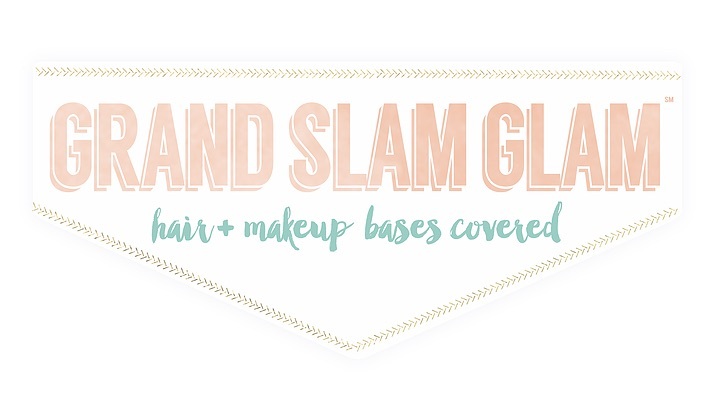 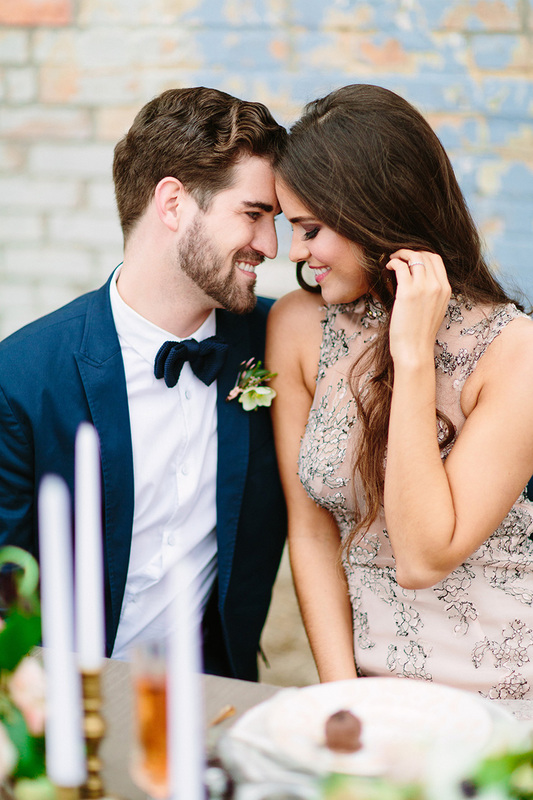 Look no further than this shoot for all of your vintage inspiration needs!